‘Keeping the peace’ has become a dangerous endeavour in recent years. At the end of 2017, militants attacked a UN base in the eastern Democratic Republic of the Congo. Fifteen peacekeepers were killed—the highest single death toll from an attack on a UN peacekeeping mission since Somalia in 1993. According to a new report released last week, more peacekeepers have been killed in acts of violence in the last five years than in any other five-year period in nearly 70 years of UN peacekeeping. Unfortunately, this trend isn’t all that surprising. Several peacekeeping missions are currently deployed in high-threat environments where there’s ‘no peace to keep’. In some cases, such as in South Sudan, host authorities have put peacekeepers’ lives at risk by obstructing the freedom of movement of mission personnel. In other cases, such as in Mali, terrorists and violent extremists have launched attacks against civilians and UN targets. 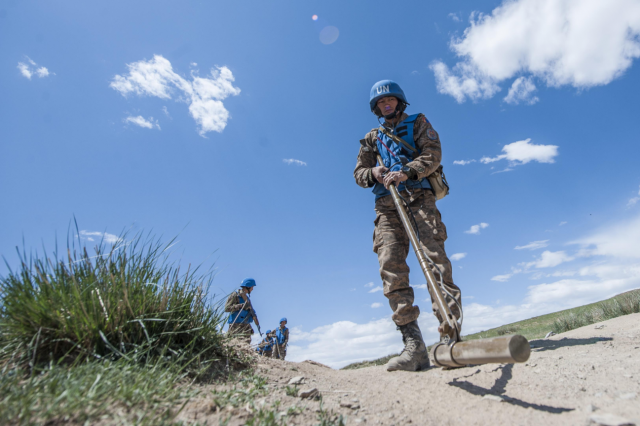 And despite small arms and improvised explosive devices being used in the vast majority of fatal attacks in recent years, peacekeepers still remain largely unprepared to address or mitigate these emerging threats. 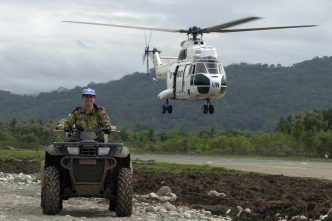 The new report, Improving security of United Nations peacekeepers, recommends a series of reforms to ‘change the way the United Nations does business in high-security risk peacekeeping operations’. Authored by former UN Force Commander and retired Brazilian Lieutenant General Carlos Alberto dos Santos Cruz, the report provides recommendations in 18 areas and proposes shifts in four broad domains: (1) changing mindsets so that personnel are willing to project force; (2) improving the capacity of missions to operate in high-threat environments; (3) ensuring mission footprints are ‘threat-sensitive’; and (4) enhancing accountability of mission leadership and uniformed contributors when it comes to adapting to high-risk environments. 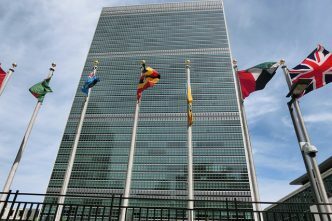 UN officials are keen to move forward quickly with the Cruz report’s recommendations. Concerns about safety and security in UN peacekeeping missions are significant factors (if not the primary factors) for most countries in determining whether they’re likely to deploy, or to maintain their commitment to an existing mission. The UN secretariat has already developed an ambitious action plan to take forward the recommendations. However, past debates on many of these issues among the various peacekeeping stakeholders suggest that several of the proposed reforms will hit roadblocks, particularly with member states. Take the report’s approach to caveats. Member states use caveats to set boundaries, communicate expectations to the UN and manage risk for their troops. The report recommends that the UN ‘should not accept caveats, because they weaken integration and mutual protection within missions’, which in turn ‘increases the risks of casualties’. While it’s true that caveats create inherent challenges for UN peacekeeping, they’re a necessary evil. Countries won’t sign over their personnel to serve in missions without retaining some measure of control. That’s not to say every effort shouldn’t be made to discourage and limit caveats, but it needs to be done in a way that doesn’t result in member states applying ‘hidden’ caveats. As Alexandra Novosseloff has argued, if the UN is to understand why caveats are being applied and effectively manage them in operations, it needs to have a more transparent and substantive dialogue with member states on the issue to start with. The report is also limited by its narrow approach to the concept of security. It focuses heavily on military components and the need to ‘win’. That’s despite the High-level Independent Panel on Peace Operations emphasising the need for political solutions to support peacekeeping and for missions to be people-centred. The Cruz report doesn’t address community engagement or protection of civilians, ignoring the reality that communities can form an important part of security strategies if they see ‘the UN as worth protecting in the first place’. Astonishingly, there’s also no mention of women or gender considerations, despite the continued commitment to strengthen the implementation of UN Security Council resolutions on women, peace and security. It’s a considerable oversight given the important role of women in engaging with local communities to discern potential security risks. Of course, it’s easy to criticise a report for what it doesn’t cover. There’s absolutely no doubt that many countries that contribute their personnel to peacekeeping missions need to change their posture and mindset on force protection and security issues. 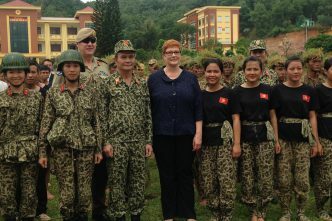 The report makes many valuable recommendations that, if implemented, have the potential to dramatically bolster performance and accountability, strengthen casualty evacuation and medical response, and ensure that peacekeeping missions adopt a more robust posture, thereby better protecting the lives of those who serve. Yet security in UN peacekeeping ‘requires a shared approach’ and can’t be dictated from headquarters in New York. 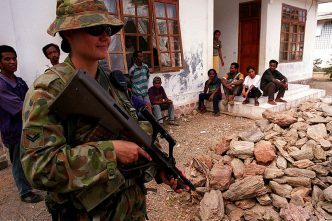 If the UN is really going to change its approach to security, then a more substantive discussion needs to take place about the ‘outer-limits’ of UN peacekeeping. The Cruz report notes that there’s a need for the UN to ‘provide an updated interpretation of the basic principles of peacekeeping’. That interpretation can’t be imposed. It will require a difficult but essential dialogue with member states, as they’re ultimately the ones that will determine whether to implement these reforms. Lisa Sharland is the head of the international program at ASPI and a non-resident fellow at the Stimson Center in Washington DC. Image courtesy of US Pacific Command.